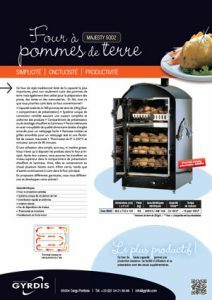 This traditional-style oven with the highest capacity can not just cook potatoes but also be used to prepare pizzas, tarts and pastries… In fact, anything you could cook in a conventional oven! 0°-250°C thermostat and 90-minute timer with alarm. Very easy to use, no water or fat. Just place the products in the main oven. 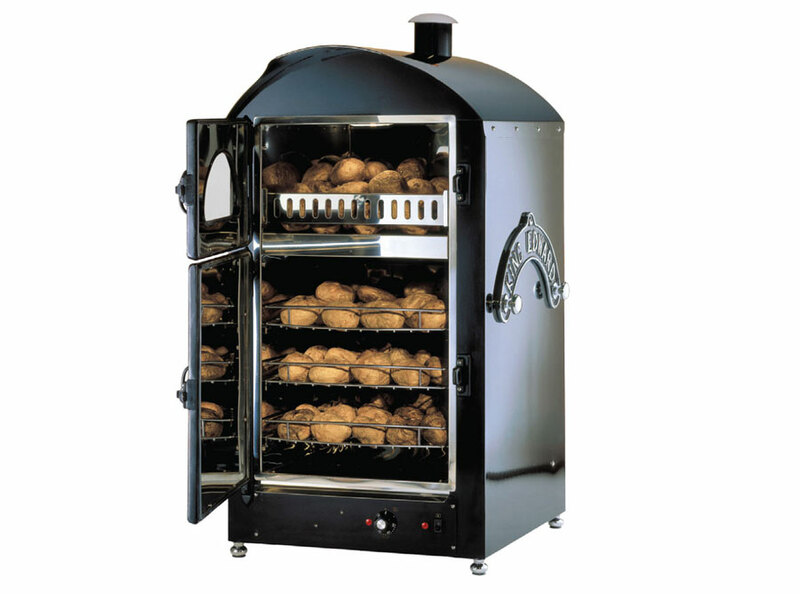 When cooked, you can move them to the top level in the illuminated heated display compartment. They will stay hot for several hours before serving, while the others will continue to cook in the main oven. 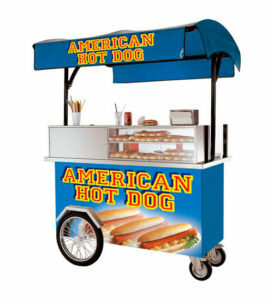 Offer different fillings to stand out and expand your business! GYRDIS has specialized in the manufacture of equipment and in concepts for professionals since 1970. The controlled design of and constant improvement in its products, all assembled and tested in its plant, guarantee that its equipment constantly matches the needs and constraints of the market. GYRDIS’s consistently exacting quality standards enables it to export its products to more than 30 countries.